We are often being asked how to determine the return of investment when it comes to news distribution services. Thanks to better monitoring and tracking services, tracking the true ROI of a press release has never been easier. Not every press release may be accountable for immediate conversion or sales, but there is no denying its impact in the promotion of the news and content relevant to each organization’s core audiences. ROI is simply one’s return on investment or the overall cost of the creation and distribution of your press release vs the financial impact of this outreach within the company’s goals. Press releases are documents written to activate audiences. These audiences, defined by PR, IR, marketing and management teams, include customers, prospects, stockholders, employees, brand fans, industry experts and other stakeholders. Smart teams build customer journey maps for each audience that outline the desired outcome for each step of the decision process. Many take it a step further by assigning a dollar value to each customer (referred to as the customer’s lifetime value or LTV). Journey maps help communicators identify content positioning, while distribution vehicles and assets maximize each piece of content’s overall impact. What is the goal of the news you are sharing out? Are you alerting media to new products, or showcasing thought leadership with white papers and infographics? What is the expected outcome of this news or content? What audience can share this news out to drive the highest impact on your goals? What audience reactions affect this outcome? 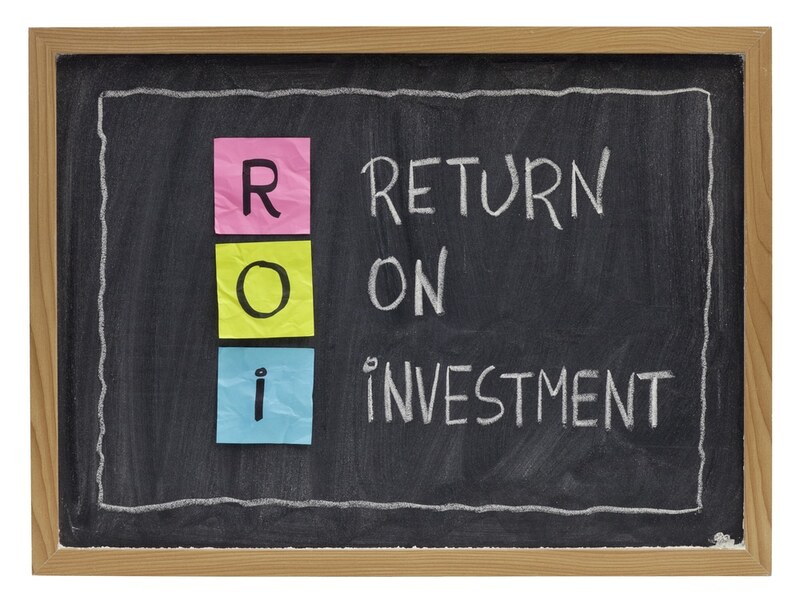 What assets are you including to increase ROI? Driving action with inbound traffic? Driving advocacy with social sharing? What distribution options provide both highly targeted and wide visibility? What sharing options do I need to include to increase impact? Let’s assume the news you are sharing promotes a white paper, video or other piece of content to increase awareness within core audiences and move them into and through your marketing and sales funnel. How would you distribute this content in a holistic manner that drives meaningful action? Writing Your Release: The first step is to write a well written release. There are many great examples of how to do this, such as this: https://www.businesswire.com/portal/site/home/sample-press-release/. Once written, make sure your release is fully optimized for usage by media as well as for reading by today’s search engines. Using Your OWN Channels: Every company already has brand fans! Alerting these existing audiences of new content is a terrific way to increase impact. Place your press release and assets within your corporate newsroom, on your blog and across social channels. Distribute the news directly through email mailing lists, including social share buttons to jump start social sharing. The Power of Paid: While placing your content on your own channels is a no brainer, this tactic alone most likely will not provide the visibility needed to reach your goals. This is the time to consider paid promotion. For years, PR professionals have been leveraging paid channels to increase impact and visibility of all kinds of news. And for good reason. To this day, even now in 2014, commercial newswires provide the best ROI when it comes to news distribution. To ensure the highest possible return on investment for your press release, take a close look at your news distribution options. First, determine what geographic region does your news impact? Where are your decision makers located? Are they in specific parts of the country or world? Next, get granular with industry and vertical market reach. Did you write the press release to inform investors, impact IT decision makers, or activate today’s increasingly powerful Hispanic purchasers? Then, understand that to drive meaningful impact, today’s press releases and content must include multimedia. With thousands of news, stories distributed each day, and fewer reporters than ever, the inclusion of an asset may be the key differentiator separating your news from that of your competitors. Finally, consider promoting your content with paid advertising. One popular way PR pros are increasing the impact of coverage is by placing them within native advertising blocs such as dlvr.it (included in your Business Wire distribution) and Outbrain. EARNED Media Increases Results Significantly: Even the most interesting stories may never reach interested readers and reporters without outreach. Once your news is live and your content is available, reach out to leading reporters and identified industry influencers to discuss coverage focus that engages their audiences and yours. Repeated studies show that coverage has a direct impact on moving audiences into marketing and sales funnels. To increase the success of your outreach efforts, focus your pitch on the impact your content will have on their readers, and do not forget to reference or include multimedia assets. Today’s most successful online stories include supplemental photo essays and statistical videos. SHARING Your Coverage: Nothing moves audiences in and through the marketing funnel better than recommendations, referrals or shares of smart, interesting news by friends and family. Not only should you share out coverage you receive, you should make it easy for your audiences to share your information as well. Include calls to actions directly within your press release (see here for an example) to simplify sharing by content readers. MEASURING Your Success: There are several ways to measure the success of this kind of PR program. One of the easiest things you can do is look at the metrics reports created by each distribution platform. Most press release measurement metrics, such as the ones below, focus on overall views and generated actions. Coverage: The first and oldest metric of PR has been the amount of coverage your news and content generated, the placement (and its impact on core audiences), length of article, assets included, message permeation and more. Visibility: The second step in measuring the impact of the press release is wide awareness of news. How broadly was the news shared, who shared it and which audiences impacted the marketing funnel the most–was it editorial coverage? Influencer shares of that coverage? Did employee sharing increase word-of-mouth marketing? Did the multimedia assets you included increase impact? Geo-Impact: Another terrific metric available to PR professionals is the ability to see what regions, locally and globally, the news resonated within. This data can be acted upon immediately by continuing the discussion with paid advertising or a concentrated sales effort, allowing sales teams to strike while the conversational iron is hot! Social Shares: When tracking social impact, first look at the number of influencers talking about your news, and the number of overall news shares. Social sharing analysis should also look at message adoption and associated hashtags usage. Inbound Traffic: Measuring inbound traffic is easy! Simply add a URL Builder or extension to any URL within your press release that drives traffic back to your website (create this as a hyperlink). Then, once someone clicks those links, you can track their actions within your website. Of course, not all media outlets will include hyperlinks to your website, so it is key to note that this will only be a snapshot of the traffic driven in. It is key to look at all increases in followers, or inbound traffic that occurs during the news cycle to get a more accurate look at the traffic you generated. Owned Channel Registrations: Include links to join your other owned channels including following social channels or signing up for a newsletter. This enables interested parties to take the first step in creating a relationship with your organization. As you can see from the above, there is a very real place for the press release, and press release distribution platforms in today’s news and content distribution services. Now, with a few easy additions, communication professionals can highlight their significance quickly and easily. So what do you think? Do you agree with this program? Is this something you could and would implement?